Bob started at Little Traverse Bay Golf Club in Harbor Springs, MI at 14, and quickly realized that he wanted to pursue a career in the kitchen. He committed himself to working his way up in the culinary world and became sous chef at the Club by the end of high school. With limited instruction and a great deal of trial and error, Cook has enjoyed 17 successful years in the industry. Over his career, Cook has become proficient in the behind-the-scenes aspects of a restaurant. His passion lies in South Asian, Korean and Thai cuisines and he has a self-professed love for anything fermented and bubbly (i.e., kimchi, sauerkraut, and pickling/preservation methods). 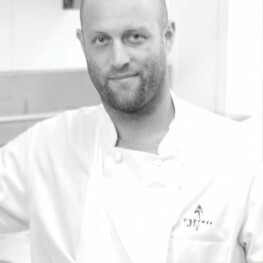 Cook moved from Michigan to Charleston in 2007 to join the team at Cypress where he has showcased his strong butchering skills and worked hand-in-hand with executive chef Craig Deihl in developing the charcuterie program. He has also developed many in-house bread recipes and his kimchi was recognized in Garden & Gun in March 2012.